Often Realtors (even the ones who have decent websites) don’t rank well or have a presence on Google. Most of them look for an inexpensive way to showcase MLS listings, and end up with the equivalent of a postage stamp on the internet. It is disturbing considering the high percentage of home searches that start online. There are dozens of website providers out there today that provide Realtors with pretty websites containing widgets to provide generic and re-purposed content. These are worst case scenarios for Realtors. There are thousands of Realtors using these type of websites which provide “auto-fed” generic content. 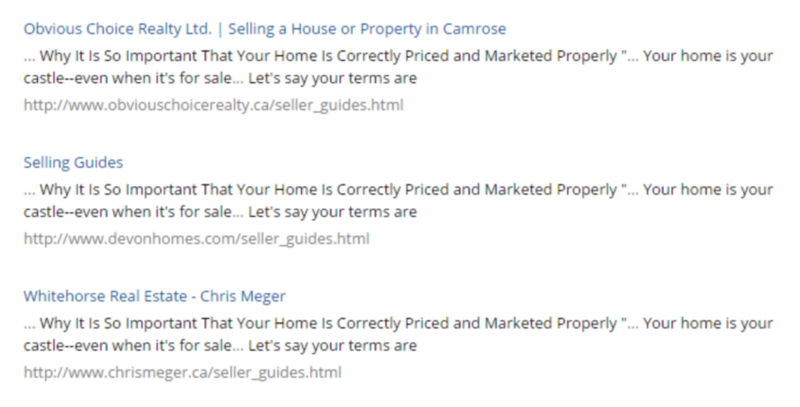 If you happen to be one of those Realtors that are using duplicate content across your site that everyone else is using, not only are you unlikely to show up in search results, but the marketing value of your website is pretty much a waste. Nearly 100% of search clicks go directly to websites listed on the first two pages of Google. If you are not there you are missing a huge opportunity. The same holds true for generic Social Media feeds. They simply don’t have the high engagement numbers that meaningful original content does. You might think otherwise, but re-posting every Real Estate article under the sun in your own social graph does little to build your credibility and brand. With rare exception it is seen by your followers as a spammy shortcut. With the information overload that most of us experience everyday, it’s only a matter of time before they block you out of their social feed. On the other hand if you write original content you are bound to get more eyeballs and be viewed as knowledgeable and sincere. Writing original content takes time, and if you cannot do it yourself you should pay a company like CSI to handle it for you so that you can focus on sales. There are no shortcuts. 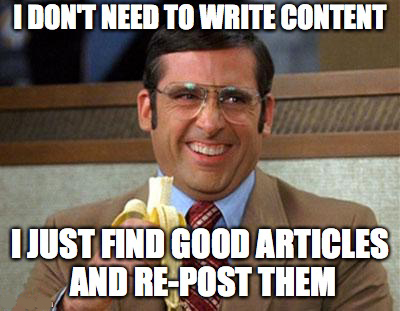 Write Original Content for your website and social feeds. Duplicate content on is the grave yard of marketing. Consult with a company like CSI to assist you, and check out your own website’s content the free tool CopyScape.com. Remember there are no shortcuts. Writing meaningful content is worth it’s weight in gold for good search rankings as well as good engagement in the social media arena. A good SEO company like CSI will write content to help you connect with people looking for product service offerings. Many agencies claim to offer this but they provide generic content. SEO is a long-term investment: Paid search on Google and Facebook are short-term solutions that do not provide residual benefits. The difference between paid advertising and SEO is the difference between renting or buying a home. In the end you own the SEO investment, it doesn’t necessarily stop when you stop paying.